What is free phone counselling | How does it work? What is free phone counselling (and how can it help me)? If you’ve gone through a tough period in life, chances are you’ve tried, considered or at least heard of counselling. From relationship breakdowns to social isolation, drug and alcohol abuse to anger management, bereavement to work stress, counselling aims to help people improve their lives. It does this by allowing them to talk about their problems, thereby helping them recognise and understand how they’re feeling. Ultimately, this helps people deal with what’s troubling them. The term counselling may invoke visions of talking in group sessions or lying on a therapist’s couch (although a couch is quite clichéd — nowadays it’s almost always a comfy chair). While these forms of counselling are commonly practiced for the simple reason that they can be effective, another popular form of therapy is phone counselling. 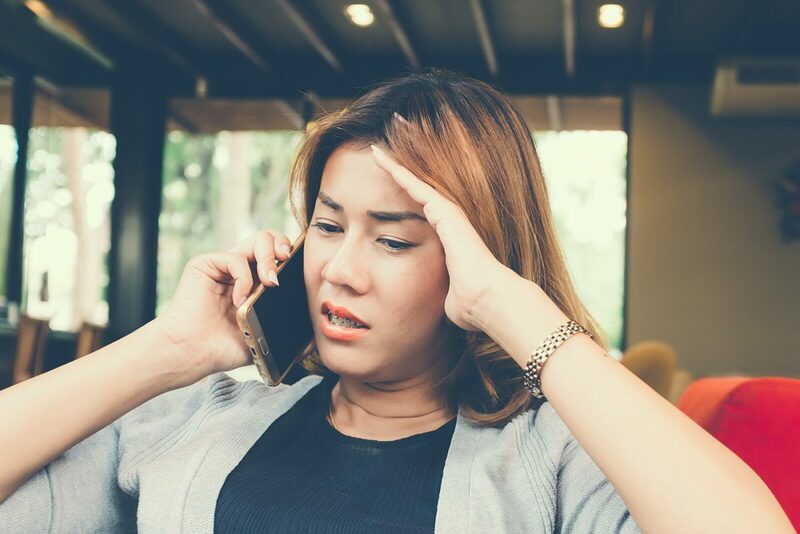 Phone counselling has been widely available for decades for the same reason that face-to-face counselling has been so popular — that is, it can be very effective. But just how does phone counselling work? And how can it help? What exactly is phone counselling? Phone counselling falls under the umbrella term of telehealth. As you can guess from the name, it’s counselling delivered over the telephone. These days, it is often accompanied by online chat counselling and even video counselling. Contrary to what you might believe, phone and online counselling is not just for people who have a mental health condition. Counselling is appropriate for anyone who needs help with coping with something. CAREinMIND is a telehealth provider that offers free phone counselling, video counselling and chat-based online counselling for people in north, central and western Melbourne. The service will help callers with a wide range of worries and concerns. While you should always call 000 if it’s an emergency, the following list gives you an idea of just how extensive the range of things that free phone counselling services like CAREinMIND can help you with. Why try phone or online counselling? Phone and online counselling has several benefits for people who aren’t able or prefer not to see a face-to-face counsellor. CAREinMIND is a free service that’s available 24/7. No medical referral is required to initiate contact. This means free counselling can be accessed from the privacy of your own place, at a time of your choosing. You don’t need to take time off work or study, and it doesn’t have to be anyone’s business but your own. Many people also find phone and online counselling is a helpful alternative to face-to-face counselling. Some people find it less confronting while others (for example, people who are coming to terms with an underlying concern or mental health condition) find it’s a helpful step towards obtaining more in-depth help. Who are the phone counsellors? All CAREinMIND counsellors are trained professionals. They are professional counsellors, psychologists or social workers. All have demonstrated that they have completed a minimum of 456 hours of post-tertiary (that is, after university or outside their training course) counselling experience. CAREinMIND counsellors are trained to listen and talk on the phone, via online chat, and via video. They use tried and tested methods (often called an evidence-based approach) to deliver best-practice care and service. Why are professional counsellors offering a free service? In case you were wondering why a professional service is free to a large part of the Melbourne population, CAREinMIND is funded by the North Western Melbourne Primary Health Network. It’s part of the service provided by the healthcare system. Need to talk to someone? Got a worry or concern? Talk to a professional counsellor on 1300 096 269. It’s free to people in north, western and central Melbourne and is available 24 hours a day, seven days a week.